“Today Jonathon Ho of the Hawai’i Dept. of Agriculture reveals the latest steps toward electronic manifesting for goods that arrive in Hawai’i by air or sea. He provides the latest updates on improvements and enhancements at state inspection facilities. 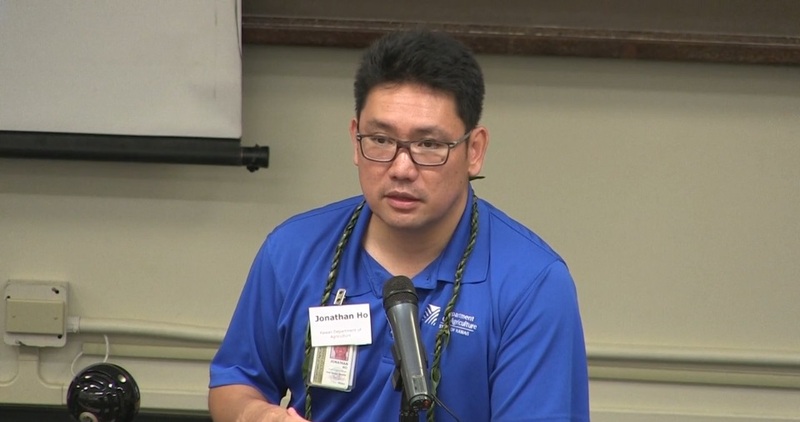 This presentation is from the Invasive Species & Biosecurity in Hawai’i: New Tools and Opportunities for Public Participation, held at the William S. Richardson School of Law at the University of Hawai’i on March 23, 2019.